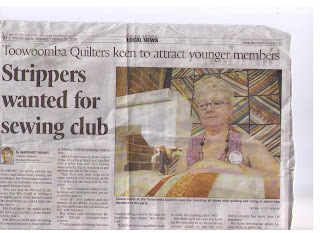 This Saturday is going to be heaps of fun at my quilt group "Toowoomba Quilters" where I am co-ordinating a stripping day. 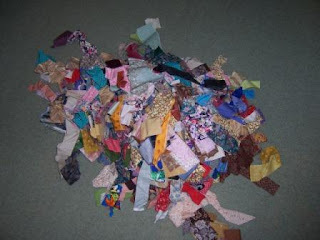 (Gee, lucky the weather is warm)> NO, we are all sewing together. 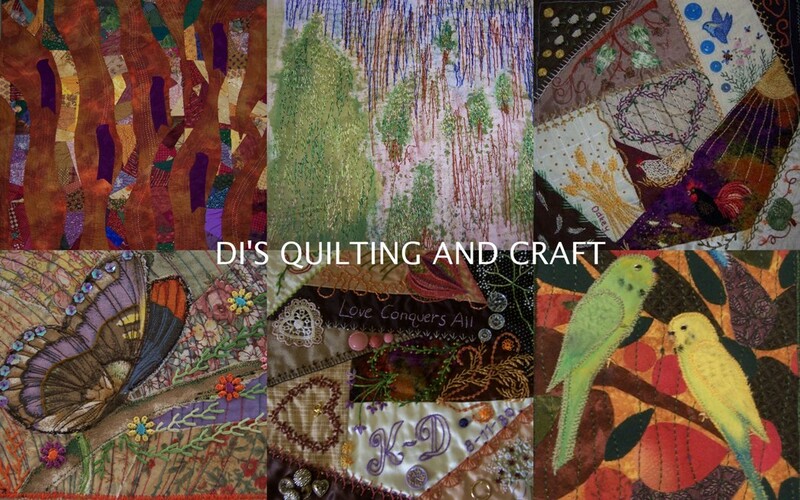 Since I began quilting in about 1992 I have always cut left-overs from quilting projects into various size strips or squares. 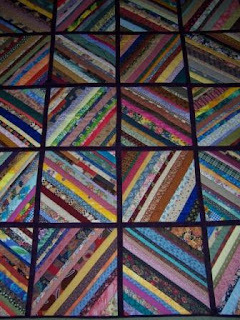 Over the years, I have made various strip quilts, mainly log cabins, but when I saw my friend Marleens quilt-as- you- go strippy quilt, I knew I had to make one right away. I gave that one away to my brother and sister-in-law, and they love it. Last year we had a very successful strip party and there were some stunning results from that. We had such a great day that everybody was asking when we were going to do it again. This one is the product of last year's strip party. This is my contribution of strips. Last year's stripping day even made it into the local media!! Yes, that is a veeeeery bad photo of me. (that is Marleens quilt on the wall behind me). well I guess they really HAD to go with that headline didn't they? Been reading about this on Caity's blog so popped over to 'meet' you as well. What a great Head Line! Tell me, did it attract some new members?? Love the results they are fantastic!